When Ann's family has time, they travel in vintage trailers. 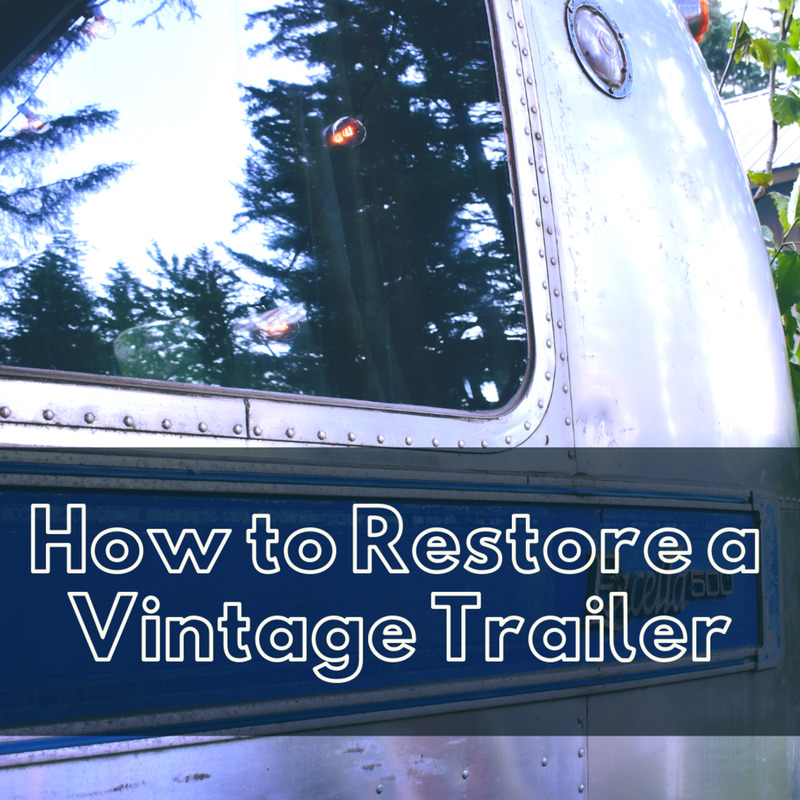 We are vintage trailer people, and we love everything about them. There were hundreds of brands that were being manufactured in the 1950s, and many more that were homebuilt. Picking my top ten is difficult, but I do have favorites. Many of the links I have included here go to other sites with pictures or plans. There is a lot of information for those who are interested. Of course, I have added my 1959 Dalton, manufactured in El Monte, California. Isn't it pretty? Brad's Benroy is well known in the teardrop trailer group. This beautiful trailer looks like it just rolled off the showroom floor. Bennett Peterson was one of the the designers. The Benroy is a great trailer and has stood the test of time. In the links, there are many more pictures. This is a beautiful trailer that is always a showstopper. Then, he just had to have the miniature trailer that is actually an ice chest. Very, very clever! The SnoozeBox is homebuilt. Built by Gene Gallipau in 1989, it is completely different than any other teardrop out there and very well known. 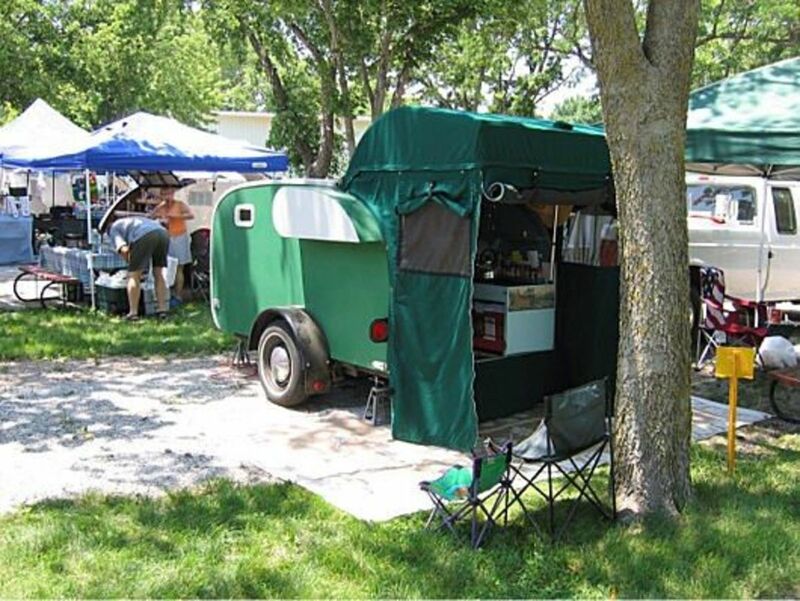 We had not had it long when we went to the 1st International Teardrop Gathering in Minden, Nebraska. We were in the Rocky Mountain State Park in Colorado when a car pulled up to us and asked us if it was the Gallipau trailer. They were from Oregon, we are from California, and it was a very strange experience. They were also teardroppers on their way to the Gathering and knew Gene and the teardrop from rallies in Washington State. 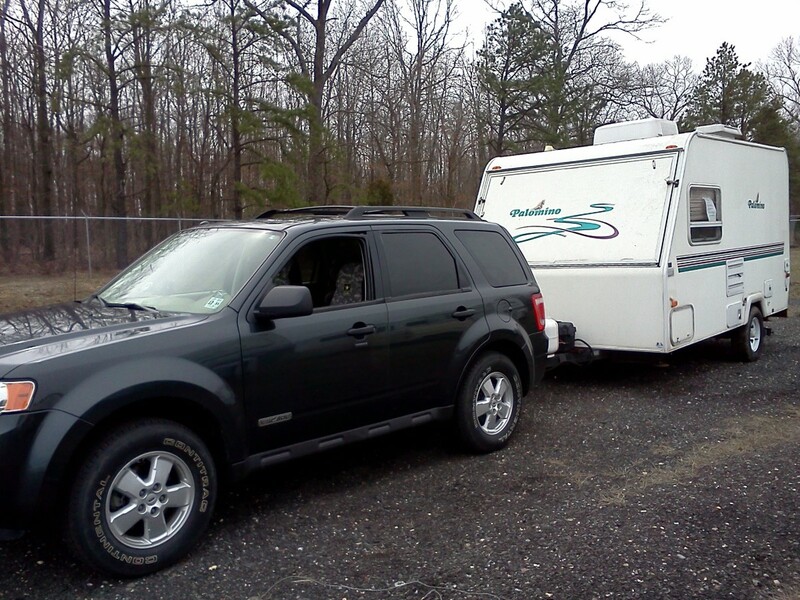 There are two rules regarding teardrop trailers. 1. The galley (kitchen) has to be in the back. 2. You can't stand up in it. My 1959 Dalton in the woods at the Henry Cowell Redwood State Park near Santa Cruz, CA. Here, Mr. Wonderful is adding the jacks to the front to level it. Gage has chronicled so many rallies and gatherings with his Dalton, he doesn't even have space to show them all. Every single trailer that has attended one of these events is photographed. There are many wonderful pictures and one could spend a whole day just checking them out. Thanks, Gage! This is Gage and Tanya's 1956 Dalton. Many thanks to Gage, who allows me to use his photos. If my heart belongs to any trailer it is the Spartan. Gorgeous inside and out, it appeals to me more more than any other. I go to this link often to see what is for sale and pretend that I am in a position to afford one. The Spartan Trailer Company made airplanes in the early days, and the craftsmanship of their trailers is still evident today. Someday I will have one of these. 1951 Imperial Mansion. This is another trailer I would love to own. This one has two bedrooms and a full bathroom. It is a park model, but it is a beauty. This is an incredible trailer, and if you get a chance to see one, make sure the owner gives you a tour. 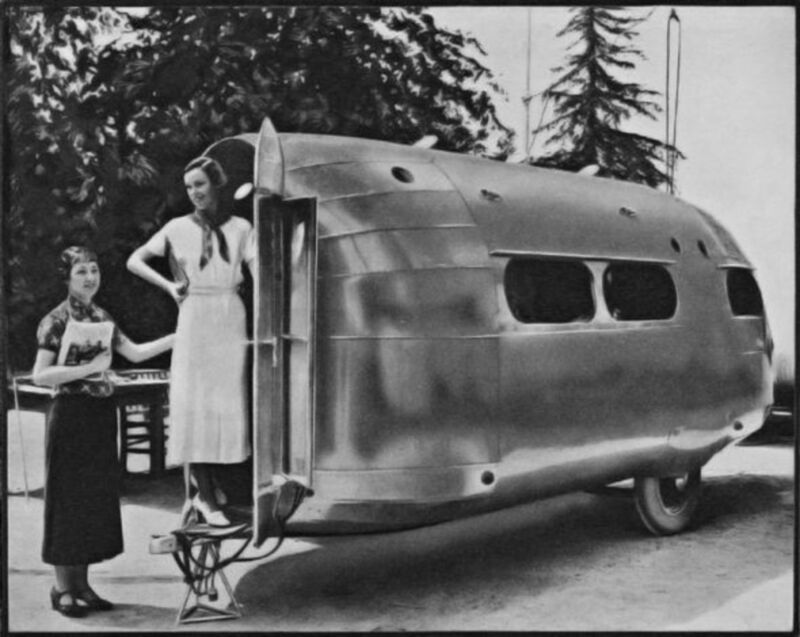 In 1953, plans for a trailer called the "Wild Goose" were published based on this trailer. I have the magazine and someday want Mr. Wonderful to make me one. I mean, you can't have too many teardrops. 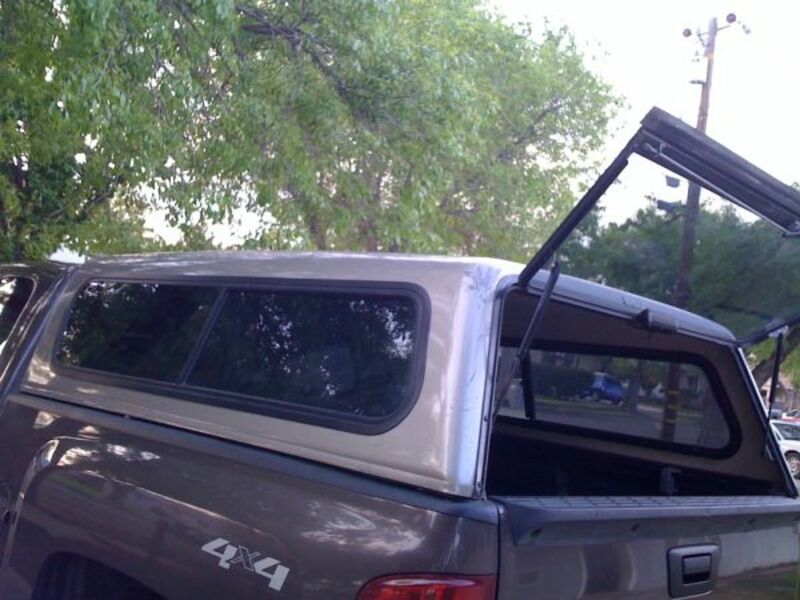 The back hatch lifts high enough to allow access through the screen door that folds down when not in use. Lots of information on teardrops on this site. 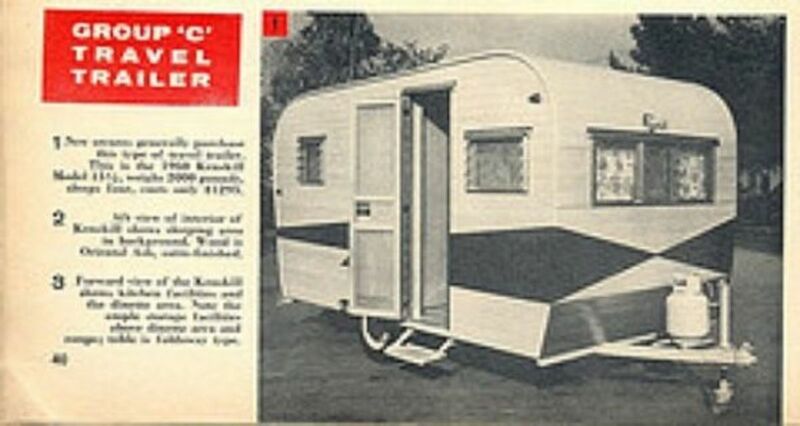 Kenskill made quality teardrop trailers but branched out into "stand-up" in the late 1940s. 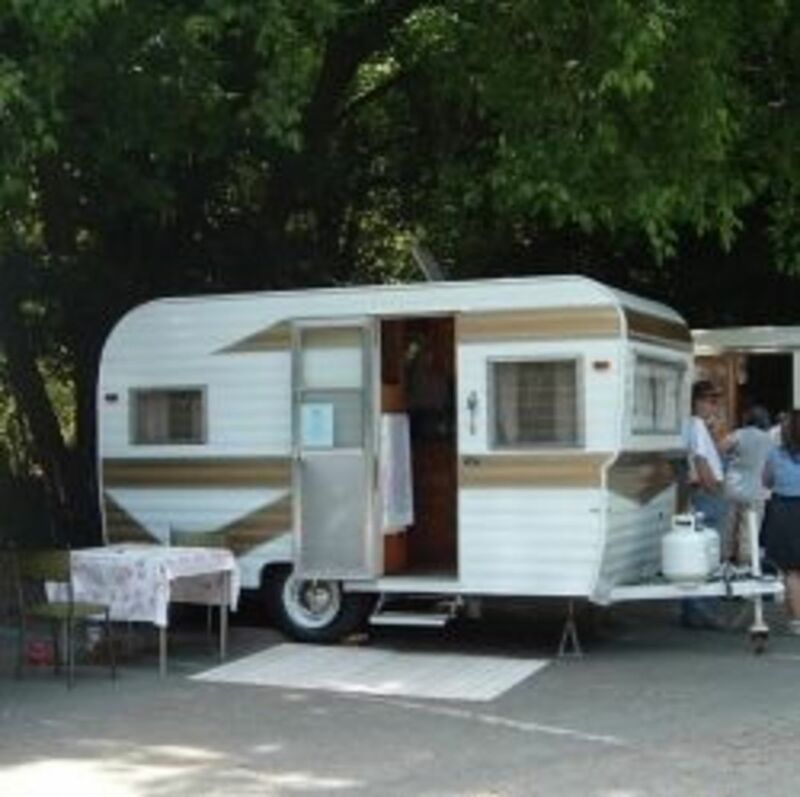 The first trailer was basically a teardrop that you could stand up in, but the later trailers sometimes had the kitchen over the axle, the bed in the middle, and a sitting area in the back. This is an awesome trailer and even more awesome inside. She has a smaller one that is featured in the Halloween Trailer Decorations Lens. The picture above was borrowed from the Bowlus site, but we did see one at the Cottonwood Rally. The minute he pulled in, literally every camper left their campsite to go and see it. It took several hours before he was able to move on. What a totally incredible trailer. 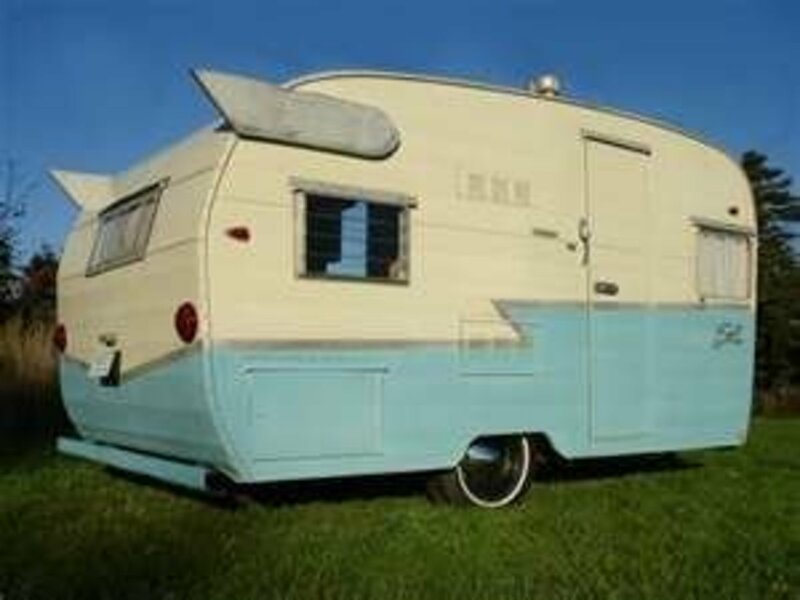 6/25/2012 Update: One of these just came up for sale on the Vintage Travel Trailer Aficionados Facebook page. It was listed on eBay for $90,000. It was one of the few times I wished I were rich. It is a beauty. The Silver Streak even looks nice in the mud. 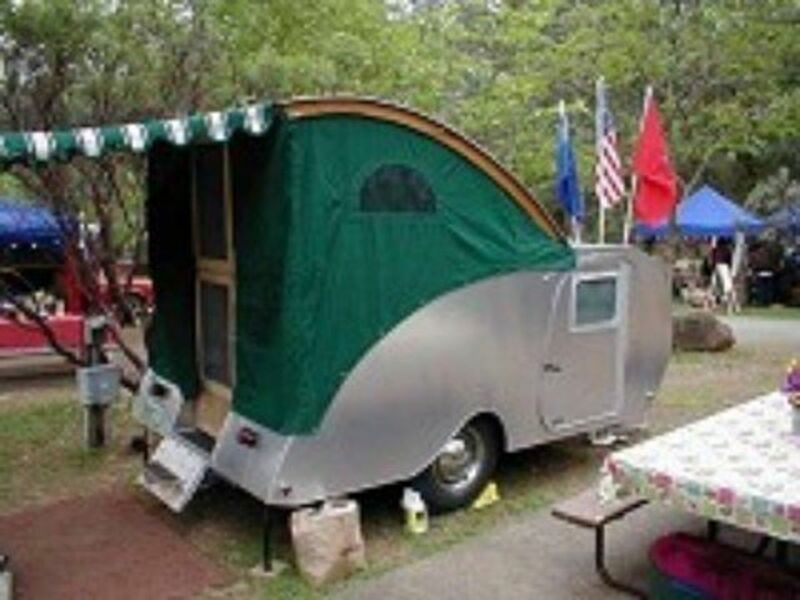 "Shasta travel trailers were travel trailers built between 1941 and 2004. Originally constructed in a factory in Los Angeles, California, to provide housing for members of the U.S. Armed Forces, the Shasta company expanded then built a production facility in Goshen, Indiana, opening in 1958. The company was purchased by Coachman Industries in 1976. 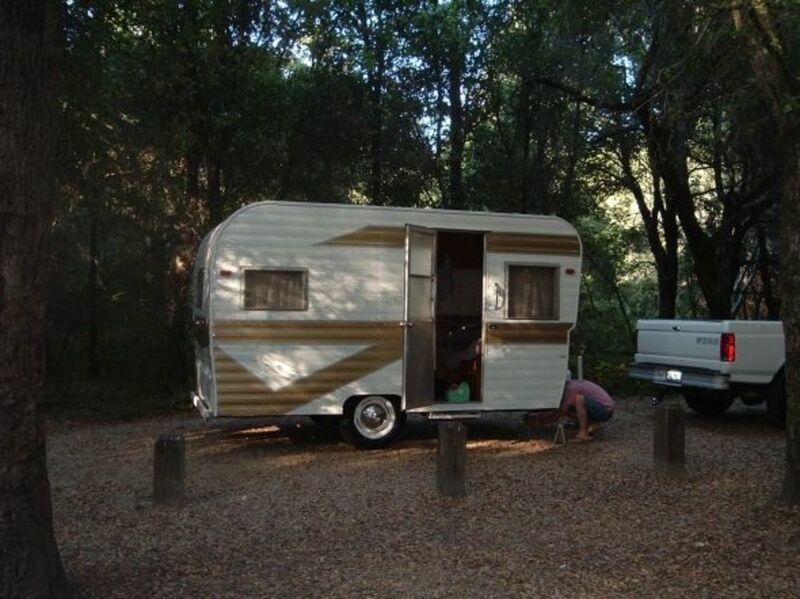 At some point in time, Shasta trailers were produced by Shasta Industries, a division of the W.R. Grace Company (this information obtained from a 1975 model year owners manual). "The 'wings' on the rear sides were a visible identifier in the 1960s and beyond. The name was sold to Coachmen Industries. 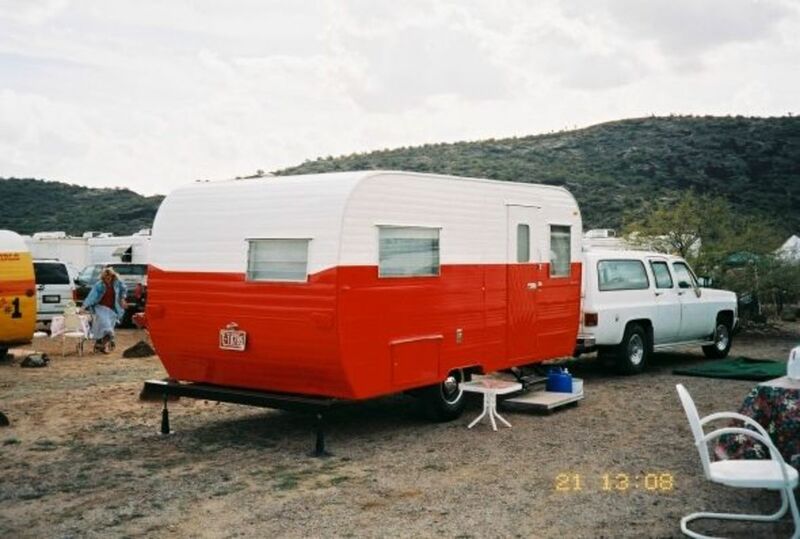 Coachman marketed Shasta branded travel trailers until 2004. Only vintage trailers were available until 2008 when the brand was reintroduced complete with its identifying wings. The new trailers have updated art deco interiors and are all electric. Their features include stainless steel microwaves, stainless steel sinks and mini blinds, hot plate cooktops, wet baths and cutting edge entertainment features—including a 19" LCD television." 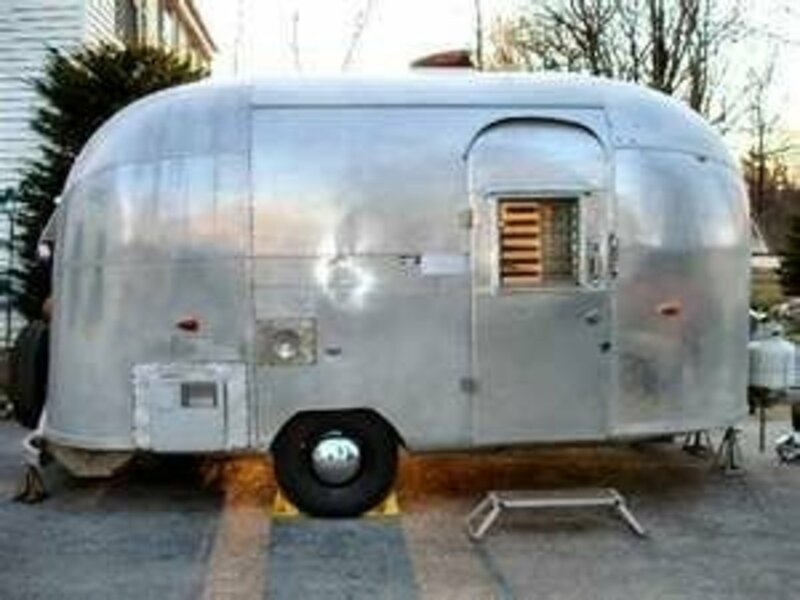 I am not fond of Airstreams, but I must admit that the only one I would have is a Vintage Bambi. It is the best designed small trailer that I have seen, and it even has a bathroom. It is pretty amazing. I almost bought this trailer but opted for the SnoozeBox instead. It was actually my first choice until my husband talked me into the SnoozeBox. 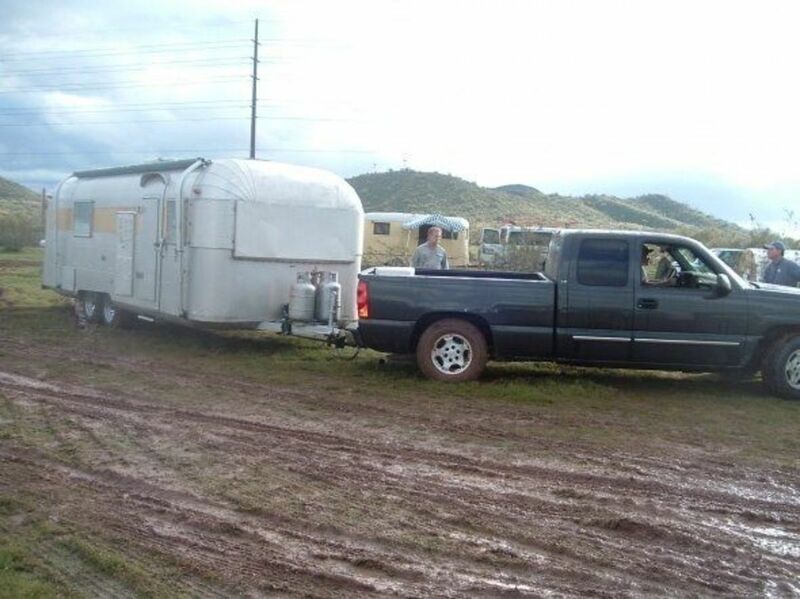 The traditional Scad-A-Bout trailers are compact and very easy to tow. I like it because it is the same shape as the Benroy and King Richard. 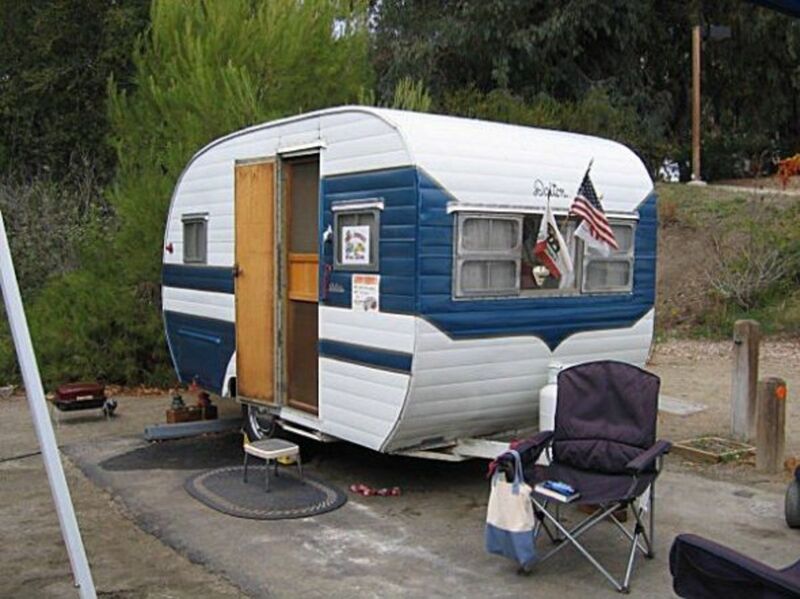 The two-story Scad-A-Bout (pictured below) is the perfect family teardrop. Parents sleep inside and the kids get the top. This is a really fun trailer. 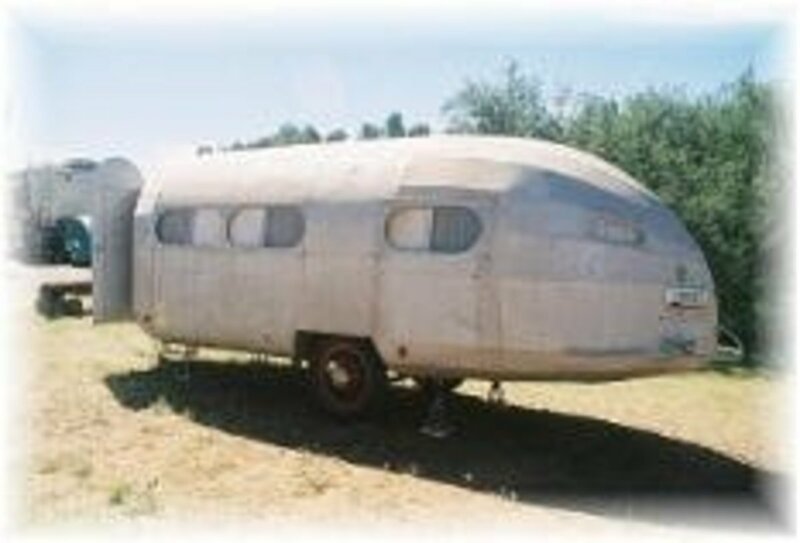 Boler Fiberglass Trailers: "The Egg"
Is a Pop-Up Camper a Good RV Choice for You? 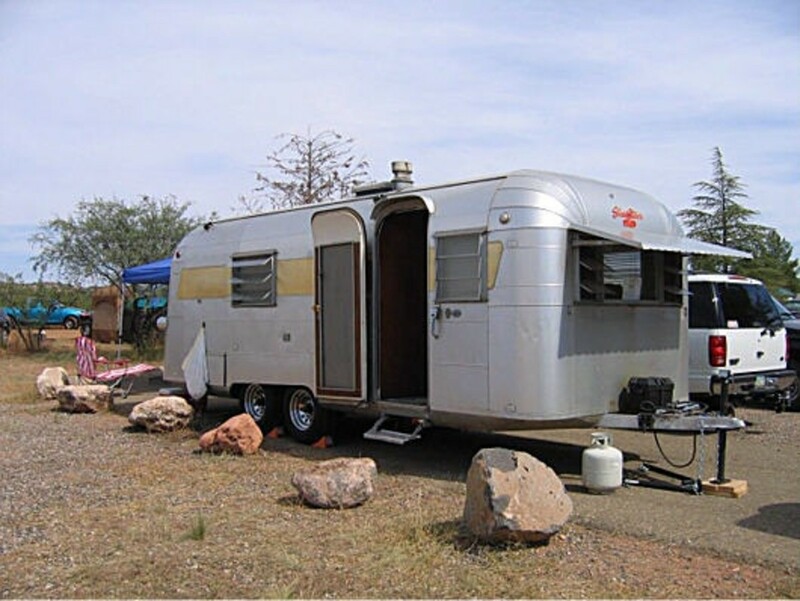 Do you have a favorite vintage trailer or teardrop? Share below! My dad build a tear drop from scratch out of the metal MONEL in the 60's. He was a finishing carpenter so the wood work was flawless. Went camping, hunting & fishing all the time....good times!!! I own a scad a bout trailer that looks just like the one you have posted... I would be interested in selling it. Get a hold of me. 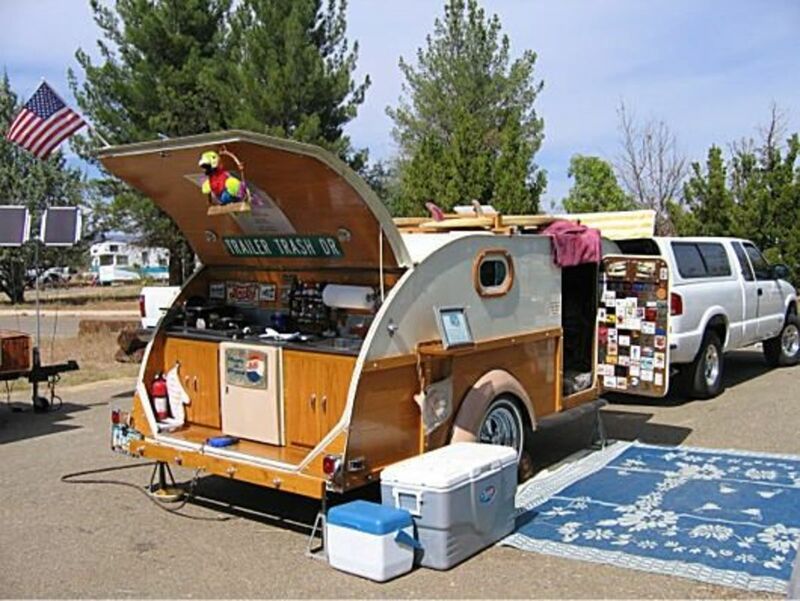 Owning a vintage tear-drop camper is on my bucket list. Loved the article. Thumbs up! Well Scott, I am delighted by your comment. I also favor the Dalton since it's my trailer. I am going to update all my trailer pages to reflect the information you provided. Feel free to contact me on my profile page with any other information you feel like sharing. Thanks!!! Maybe I'm biased toward Dalton since my Dad and Uncle Hap started manufacturing them in El Monte. Interesting fact I just learned from my older sister. The name Dalton was the street my Uncle Hap lived on so they called them Dalton trailers. I've never seen inside one of these little guys even though my parents owned a campground for many years. They are super efficient and easy to tote behind a vehicle. Great vintage photos really help you see how far they have come over the years. 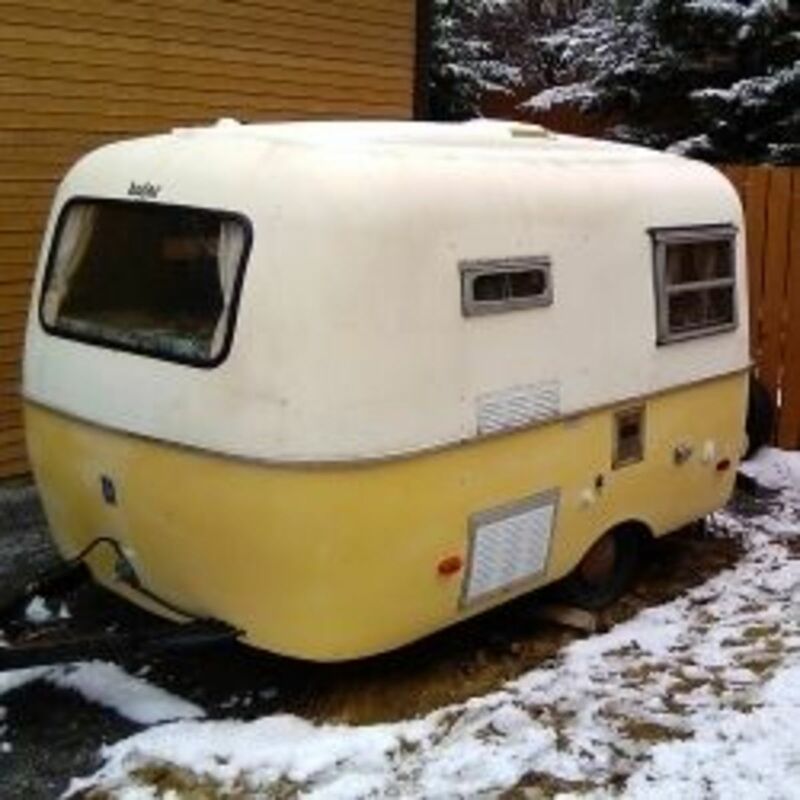 The 2 story Scad-A-Bout looks interesting, I am just now seeing the teardrops on the highway and was wondering what it was, well now I know and I am interested in buying a new or used one (vintage) sounds more like my style. Well happy hunting for those of you who are searching for your little home away from home like myself, Odell over and out. We had an Arisocrat LandCommander,16ft., 1967. We got it &amp; made it cute again...we traded it for a 5th. wheel. I still miss it &amp; loved everything about it...hard to find one with the same lay-out....I want another one ! hi,have you seen one of these with lead light windows?how do i add a pic? It's September and I am searching for folks with Ideal trailers to ask about re-sealing railing; mine's a '67. Did you find info on your trailer yet? Have you re-sealed any of it yet? What's scary is that I am old enough to actually remember these. Really great teardrop caravan lens. You did a wonderful job on this lens. I really enjoyed the photos. @anonymous: Although I am no longer a part of the Tin Can Tourists, they do have a facebook page where you could ask for information. https://www.facebook.com/groups/92362365631 It looks like it is current and trailer people love to share information. I would start there. 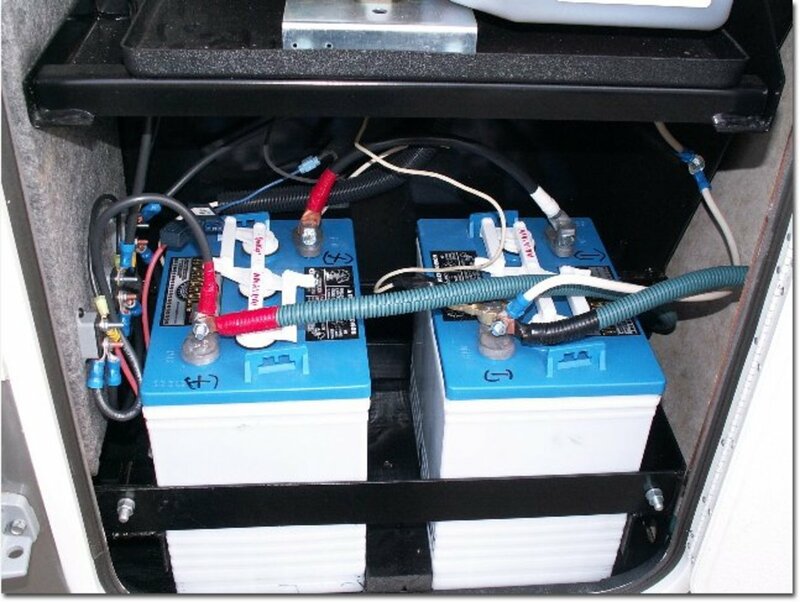 I'm looking for information on Ideal travel trailers. My father had one which I have now inherited and I would like to fix it back up but I need a place to find info on it. I don't know the year but I'm guessing late 40's to early 50's. can you help? I had to stop in because I have a dram goal of buying myself a camper and traveling around---even if I end up traveling on my own! I am just fine with a small camper. The Benroy ones where the kitchen area is outside are just too cool. I have a Teardrop! Love it! i really like the benroy`s and the scad, so i was browsing around and came across one called lil swiss. i think the total package is well put. the wood work and paint, clean and flawless. 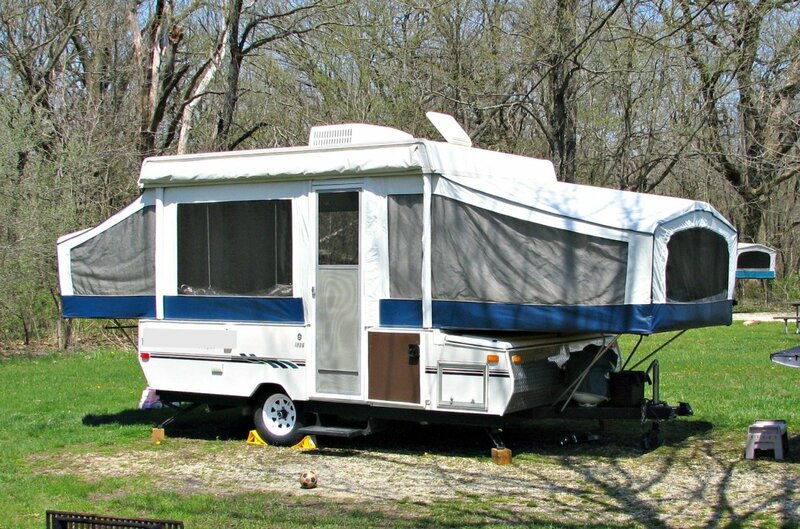 Teardrop trailers are pretty cool and I even had a chance to stay in one when I was a kid. Too bad they don't seem as popular anymore. Making me feel sort of old since I remember a lot of those trailers. My parents bought a brand new Rambler back in 1969, after we spent countless summers in my aunt and uncles old Shasta. Thanks for the memories! 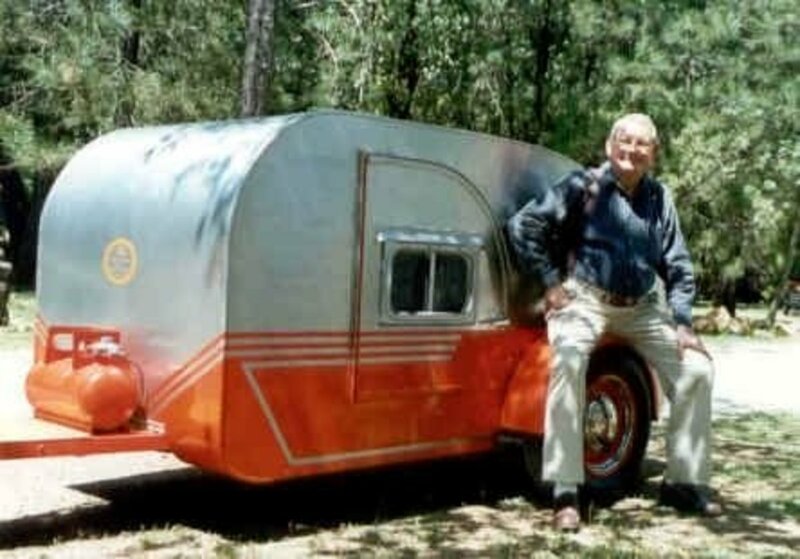 Teardrop trailers are my favorites of all time. Love this lens. 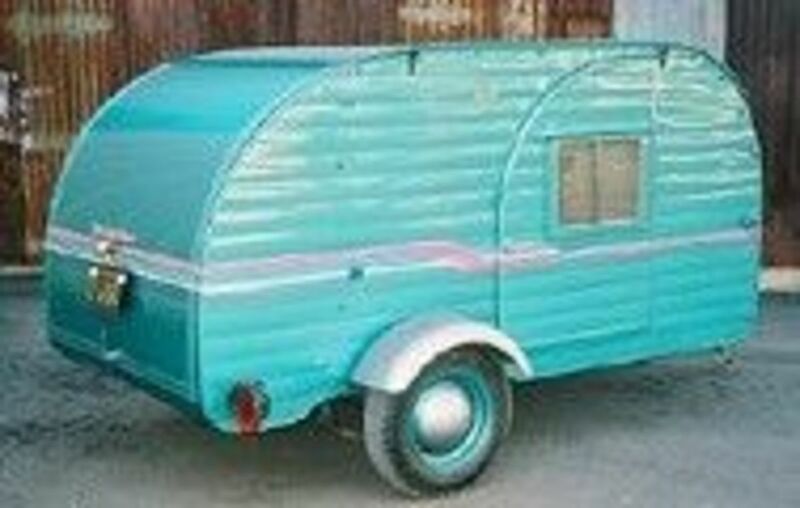 I love the teardrop trailers and would love to own one, but my husband is supersize and would never fit in one. Too bad. I do love to look at them. This the awesome lens about trailers. Here in India there is nothing like that. I was in the neighborhood and just had to peek in once again, delightful! Multiple Return Visitor. LUV this lens. I absolutely love this lens. We are campers and have a light 5th wheel. We've been looking at vintage campers and other really small ones. Bookmarked! So excited to see a Kenskill. We just purchased a 1967 20ft model and are restoring it. I had never even heard of them, but am very enjoying trying to learn more about them. wow. I love your '89 Snooze Box. Would love to see the inside of some of these. Fun lens that got me dreaming. I love this lens. I have so many great memories of camping with my grandfather. 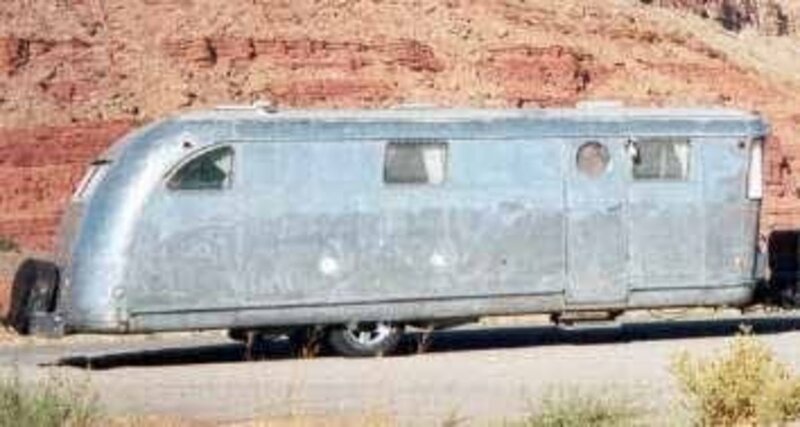 He pulled the old teardrop behind his 3/4 ton Dodge truck with a camper on back. We'd fish, camp out and explore until it was time to go home again. Great fun! The restless wanderer in me wants to hook up to one of these babies and be gone for a while, maybe a long while! Nice "museum" of the good ole days on the slower, uncontested roads. Thanks. Loved seeing your vintage trailers. My husband has a homemade teardrop that he loves and has convinced me to travel in several times. He liked your lens! Thanks for stopping by my Sonora Desert lens! What fun it would be to have a teardrop. My grandpa had a teardrop. So cute. It was sold when he died in 1964 for about $150. I wish we had it back! What wonderful fun! I love the Benroy with its ice chest, it really is a show stopper and the Bambi has me fascinated wondering how they got a bathroom in there. I love Airstreams. What an awesome page! Love it! 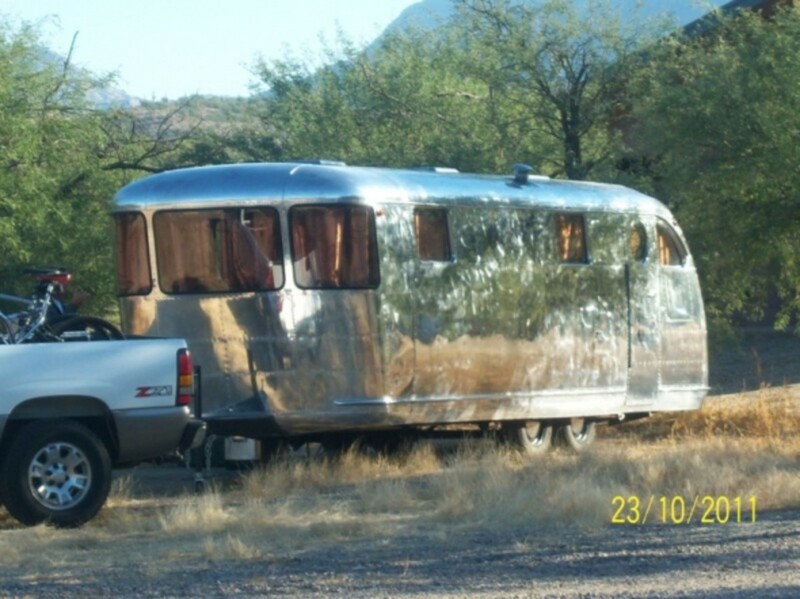 My favorite is the "Squarestream" Argosy by Airstream - I live in one and absolutely adore it. We had a Spartan at one time, and I'm sorry now that we sold it. I need to build a lens about my Argosy I guess ... anyway, I am really enjoying your RV lenses. Loving the photos and the links! 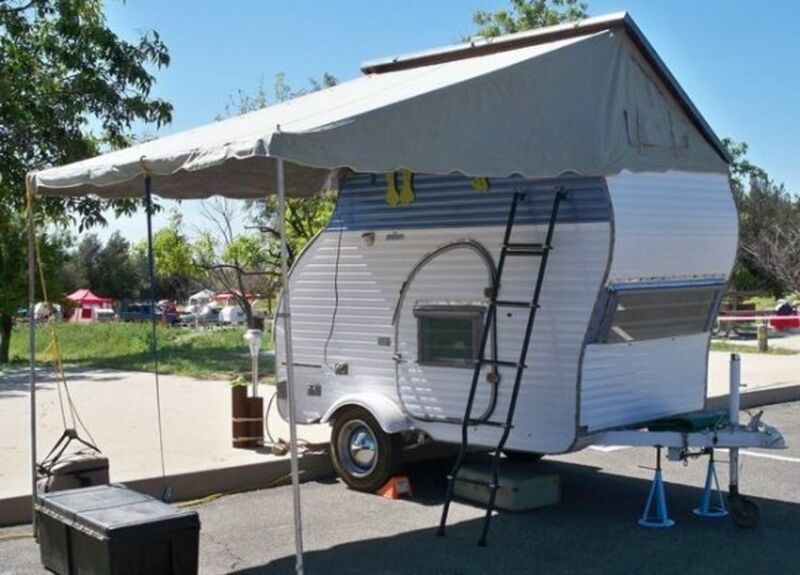 Some of these teardrop trailers are beyond cute...they are absolutely adorable. Love the little kids peddle car and trailer set. Rons Benroy looks good to me. Some of these are so cute. 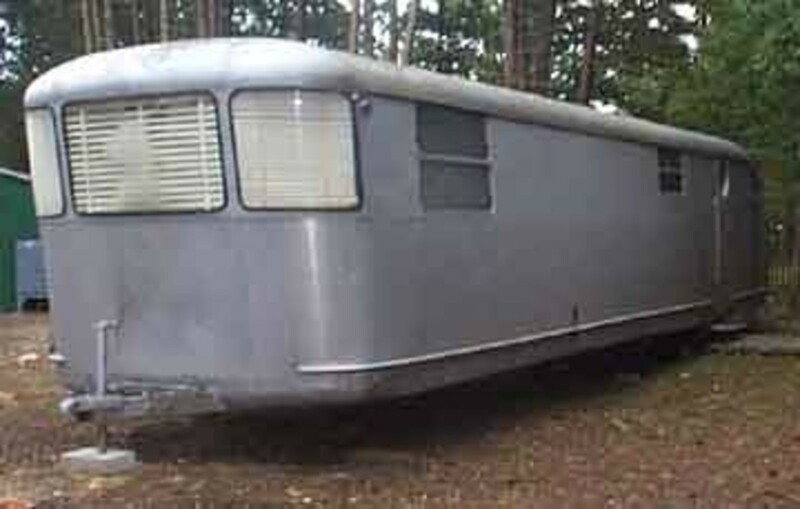 I never knew people collected vintage trailers and had no idea what a teardrop was. These are always fun to see going down the road. They must feel like a playhouse inside. Very interesting topic!